Santa Ana and Culver City drivers can count on enjoying a dazzling and diverse array of standard and available features when they drive the 2017 Toyota Corolla. 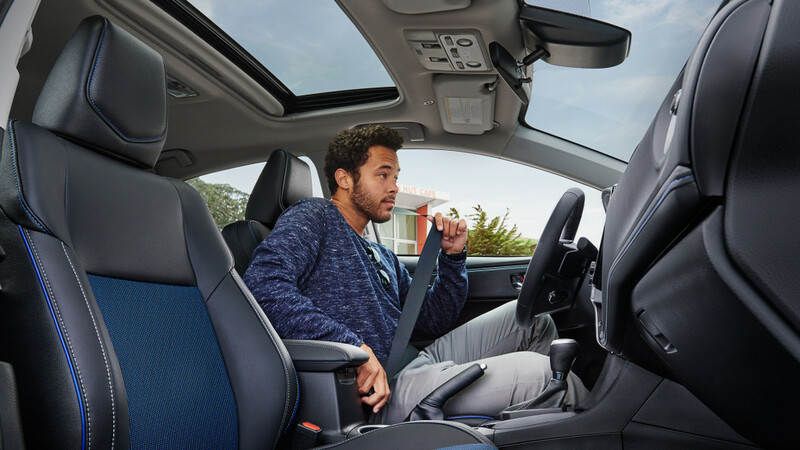 From heated seats to GPS navigation to accident avoidance technologies, the Corolla has been equipped with far more features and amenities than you’d expect from a vehicle in this class. Even the base Corolla L has generous features! Heated Front Seats: If the weather in Santa Ana and Culver City turns chilly, just fight back by turning on your heated front seats. Softex Seats: Combining the sought-after luxury and comfort afforded by leather with water and stain resistant properties, Softex seats are ideal for family vehicles. Leather-Trimmed Steering Wheel: Available with Black Cherry accent stitching and paddle shifters. Entune Audio Plus with Navigation: Have turn-by-turn directions provided to wherever you want to go on the Corolla’s available 7-inch high-resolution touchscreen display. Entune App Suite: Connect to apps such as Slacker, Pandora, OpenTable, and MovieTickets. Backup Camera: Enjoy a clear view of the area behind your vehicle whenever you enter reverse. Supporting your awareness and acting independently to prevent an accident from occurring, these sophisticated technologies are usually reserved as options with even top-tier trim levels, so it speaks volumes when the Corolla adds them without charging you a cent. The Corolla is celebrating its 50th anniversary this year, and the new model combines everything you love with the very latest features. To experience it for yourself near Santa Ana and Culver City, just visit Marina Del Rey Toyota.